Along the shores of Lake Seminole and the Chattahoochee River lies one of the best-kept birding secrets in the Florida Panhandle. Well-managed sandhills, upland pine, and mixed hardwood forests, plus dome swamps, marshes, ponds and fields will keep you coming back throughout the year for more. Bachman’s Sparrows are abundant at this site as well as Brown-headed Nuthatch, and Red-headed Woodpecker. A mosaic of wetlands, and ponds support nesting Great Blue and Little Blue Herons and during the summer Purple Gallinule, King Rail and Least Bittern can be found. Breeding songbirds include Wood Thrush, Eastern Wood-pewee, Acadian Flycatcher, Yellow-breasted Chat, Orchard Oriole, Blue Grosbeak and Indigo Bunting. 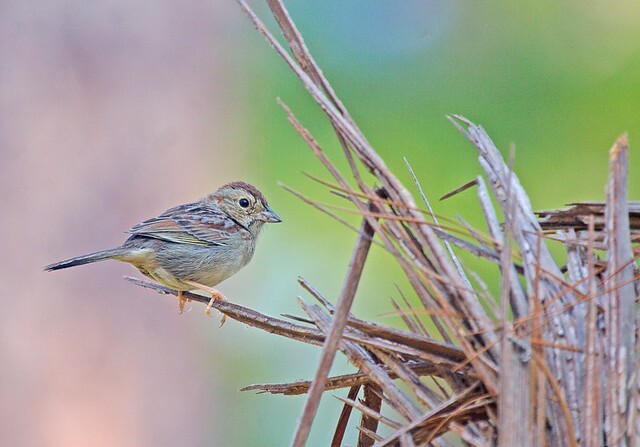 In winter, look for sparrows such as Henslow’s, Field, Vesper, White-throated and Song. There is a spectacular Red-winged Blackbird roost in the WMA reed beds during the winter. You can watch them flocking in by the tens of thousands at dusk; Cooper’s Hawk, Merlin, and Northern Harrier can often be seen trying to catch them! This site is also one of the best for observing Fox Squirrels, which are regularly sighted here. You may catch glimpses of them running across the road or scampering up a nearby tree as you drive, bike or hike the WMA’s 14.5 miles of dirt road. Butterfly watching is excellent in the warmer months. Seasonal hunting takes place in this area on select dates; please click here for information.